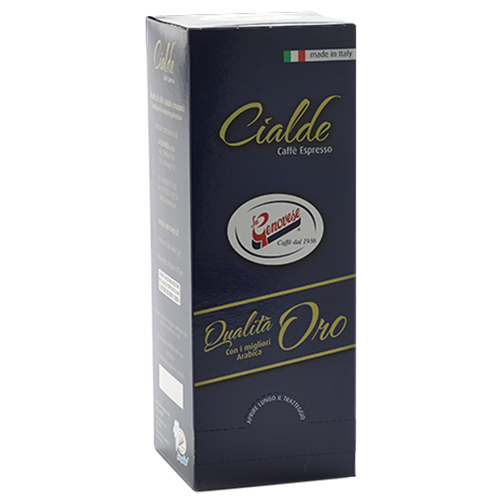 La Genovese Qualità Oro coffee pods is a blend of the highest quality with a complete and exclusive taste to suit the most demanding palates. La Genovese Qualità Oro consists of 80% Arabica beans from Brazil and Central America and 20% washed robusta from India. This is a ground quality coffee with a saturated and exclusive aroma, for the true connoisseur!